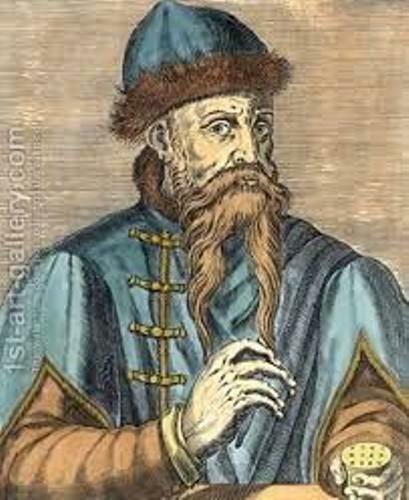 Let’s read John Gutenberg facts if you want to know the man who had invented the printing press. The invention of a printing press is beneficial to the life of the people. They can enjoy more books easily. Here are the facts about John Gutenberg which make you amazed. Johannes Gutenberg made the printing press which can simplify the printing process of a book. Before the invention of the printing machine, people had to involve with the laborious and difficult process when they wanted to print a book. Johannes Gutenberg was born in 1398 in Mainz, Germany. There is no exact record of his date of birth. His early childhood is rarely known at that time. 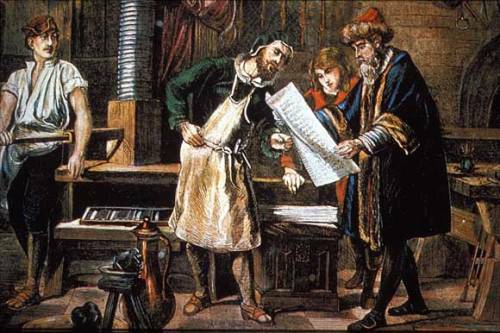 Johannes Gutenberg had his first printing press in 1450. This invention made the printing process easier when people want to print hundred or even thousands of books. The invention was a success because he used the moveable metal pieces rather than wooden blocks. Prior to the invention of a Johannes’s printing machine, people used the wood block to press the ink onto the paper. But Gutenberg used the different way by having the metal pieces to press the ink on the paper quickly. The printing machine made by Gutenberg is more efficient and effective than the old printing machine. In a day, people could only print 40 to 50 pages of paper. By using the Gutenberg printing machine, they could print more than 1000 pages of paper. find out another inventor in James Watt facts. 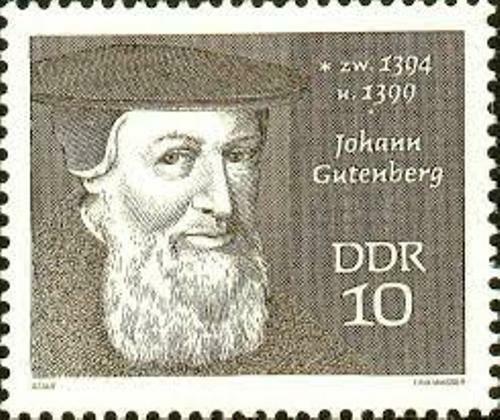 The innovation of Johannes Gutenberg gave a light of education for the middle class society. Since books were not very expensive any more. A German poem is the first book printed by using Gutenberg press. Other types of books printed afterward included indulgences for the Catholic Church and Latin Grammars. 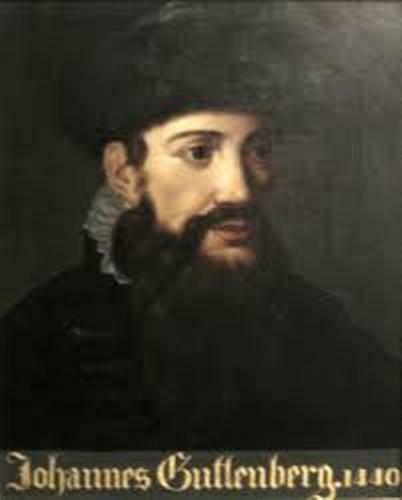 Gutenberg was very famous after he released the Gutenberg Bible. His company printed and produced many kinds of printed Bibles books. It made bible available for the people at home. Before the invention, people could only read the bible in the church. People just needed to pay 30 florins to get a bible. Due to his wonderful invention, he was awarded a yearly salary and a fancy title in Mainz. Today, there are 21 complete Gutenberg Bibles in the world. One of them is priced around 30 million dollar. The invention of Gutenberg made books accessible to all kinds of people. 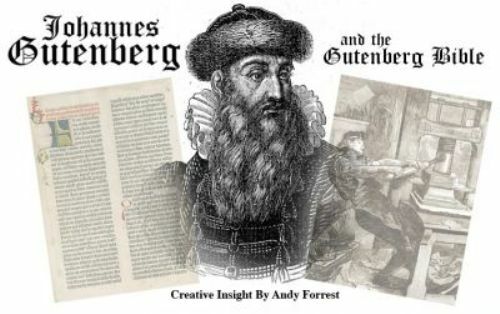 What do you think on facts about Johannes Gutenberg?